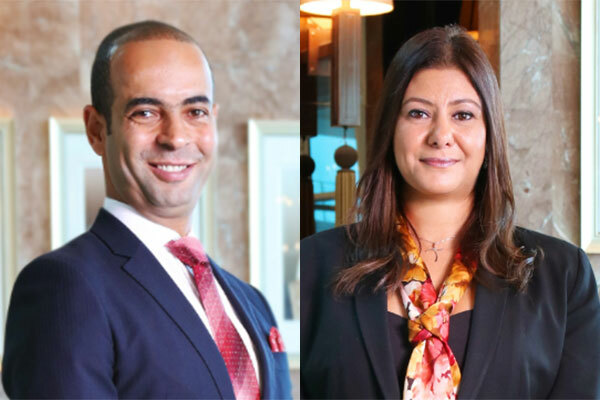 Waldorf Astoria Dubai Palm Jumeirah has recently expanded its team, welcoming Ahmed Kamel as the director of Rooms and Marcelle Nabil as the director of Human Resources. Kamel brings 18 years of extensive experience in the luxury hospitality industry. This is combined with achievements acquired from various luxury hotels internationally and in the region including Shangri-La Hotels and Resorts and InterContinental Hotels and Resorts - he was also the president of the AICR in Qatar. Kamel’s new role includes implementing effective operational management, guest services and overseeing the heads of departments to ensure they achieve and exceed their revenue and guest satisfaction targets. Nabil brings valuable expertise to the team at the Waldorf Astoria. She holds a degree in Human Resources Management and Services from the American University in Cairo, along with degrees from top tier universities in the US- Harvard and Cornell. Nabil’s new role as director of Human Resources includes being responsible for the smooth operation of the property’s human resources department. She will be providing consultation to management on strategic staffing, training development, budget, and labour relations. Following her appointment, Nabil is now one of 15 women at the hotel appointed in Director and Management level roles. A key part of her role will involve working closely with the general manager to help drive forward career leadership development opportunities for women at the hotel which aligns with Hilton’s ongoing commitment to support and promote more women into senior leadership positions across the business.